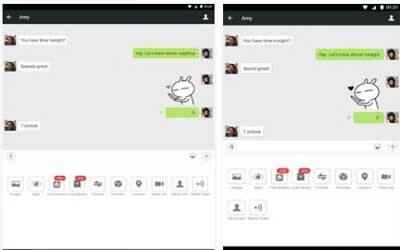 Previous version WeChat 6.5.8 apk for Android will help you to downgrade or install older app easily. This is one of the best Communication apps. It is the messaging service application that can be used on android, blackberry, and iPhone. Besides that, you can also use it through Symbian, windows phone, and other gadgets based on website. For you who want to use this application, you are required to install it firstly on your gadgets. After that, your phone should be supported for authentication too. Well, this application provides messaging service both for text and calling. Not only can share voice or text, you can also share photos, videos, and location. You can also exchange contacts with your people through Bluetooth service that available on this application. Besides that, Wechat can be connected to facebook or other social networking process. You will also take directed pictures and captions through it. For android users, it is easy for you to find this application. You can download it on your google play store or just get the APK. After downloading it, you can install it directly on your desktop. Finally, those are all the reviews about messaging service by Wechat. So, this is your time to download it for android. User interface is easy to use and the shake feature comes in handy when bored.